Steven Seagal may be following in the footsteps of Arnold Schwarzenegger and other actors and run for public office. Best known for action movies like Above the Law, Hard to Kill and Under Siege, the actor told ABC affiliate KNXV that he would “remotely consider” running for the role of Governor of Arizona. The 61-year-old actor, director, writer, martial arts expert (7th-dan black belt in Aikido) in the interview spoke about his political ideas and that he discussed the possibility of running for governor of Arizona with Maricopa County Sheriff Joe Arpaio, but he also added he has “a lot more other responsibilities that may be more important to address. 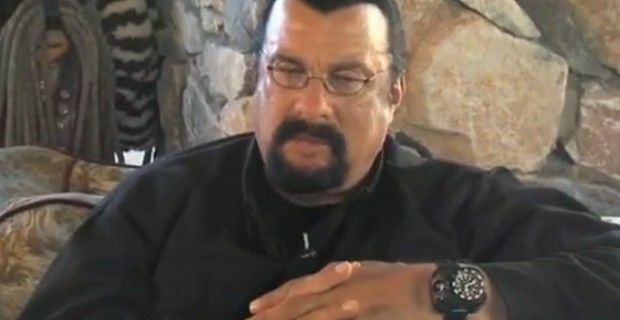 Seagal made the comments while promoting the third series of his reality TV show “Steven Seagal – Lawman: Maricopa County,” that was shot in Arizona and airs on cable TV’s Reelz Channel. “I think across these borders any kind of terrorism can come, and does come, and I think it's a tremendous oversight by the current administration. I think that it's a crime and we really should be paying attention to our borders. “Reagan once said that if you don't have security on your borders, you don't have a country,” he also added.